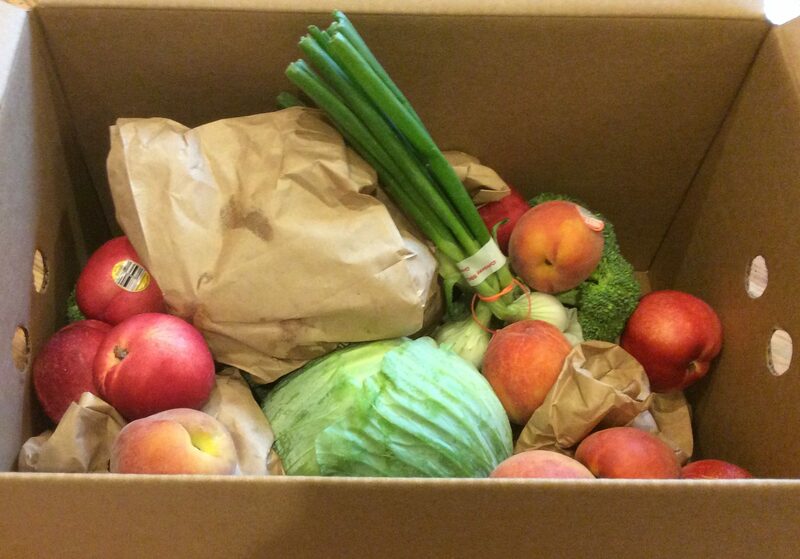 Box: Imperfect Produce (this link gives you $10 and me $10 when you sign up)! Contents: Perfect and fresh but allegedly ugly looking produce that the experts select so you can save money and not leave your home. 1 in 5 fruits and veggies grown in the U.S. don’t meet cosmetic standards and go to waste! Imperfect Produce changes this and you get the savings and the freshness! This is awesome considering that I pay good money for pretty produce that goes bad quickly before Imperfect Produce came into my life. Also just know that the standard choices will generate a box/size value and you can raise/lower the final price via customization (you can also add on Organic produce without selecting the Organic boxes). Note: You may eligible for a reduced cost box if you qualify for SNAP/EBT/Food Stamps. You will need to apply and fill out a questionnaire upon signing up. Shipping: There is a $2.99 to $4.99 flat ship rate irregardless of how many boxes are ordered for a chosen week. Imperfect Produce in continually updating its location areas but as of this post it serves the entire Bay Area in California; Los Angeles, CA; Orange County, CA; Portland, OR Metro Area; Seattle, WA Metro Area (includes Tacoma); Indianapolis, IN; and Chicago, IL Metro Area. Note: My area customization began at Monday 3PM and closed Tuesday at 11:59PM with a Thursday delivery. Another friend who lives near me has a different schedule and her delivery date is Monday. As a general note, all of my customize boxes end up between $20-$25 (because budget). So here is my order and picts for this week:specific time frame on a certain day of the week. You are able to customize your box within a few days window prior to your delivery. You are also able to skip up to three weeks (or email for longer than three weeks to be accommodated). Spoilers/Customization yes please! We know I don’t like surprises for there most part! I apologize for the late posting but since last week’s posting, we have had 3 false labor alarms and the squeakers/testers stayed at their cousin’s place. I have not had any false labor issues with the girl squeakers labor (and/or water breaking) just happened, went to the hospital, had baby girl. This little boy is different. I digress, because of above, we have a ton of stone fruit that has gone uneaten. Fortunately we have a family gathering today down south in the far suburbia of Chicagoland and we will share our Imperfect bounty. I still plan on making an Imperfect Produce order this coming week but it may be a smaller order because of the new impending squeaker arrival. 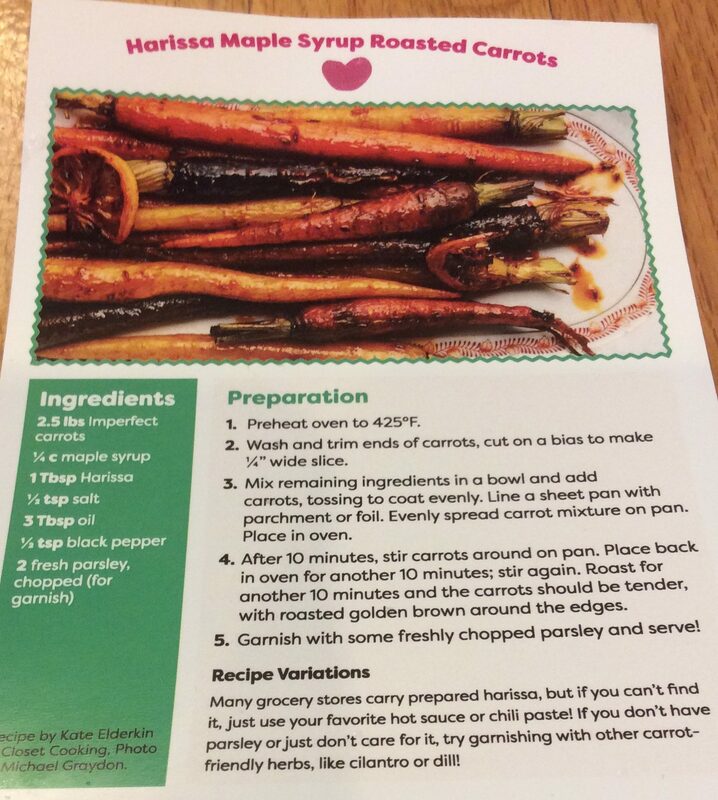 If you would like $10 off your first Imperfect Produce order click here! Do you order your produce via CSA, a farmer’s market, or Imperfect Produce? Disclaimer: I bought our boxes with my own clams. There are referral links in this post.